Size: Girl's size 4-5; 15" neck to point. 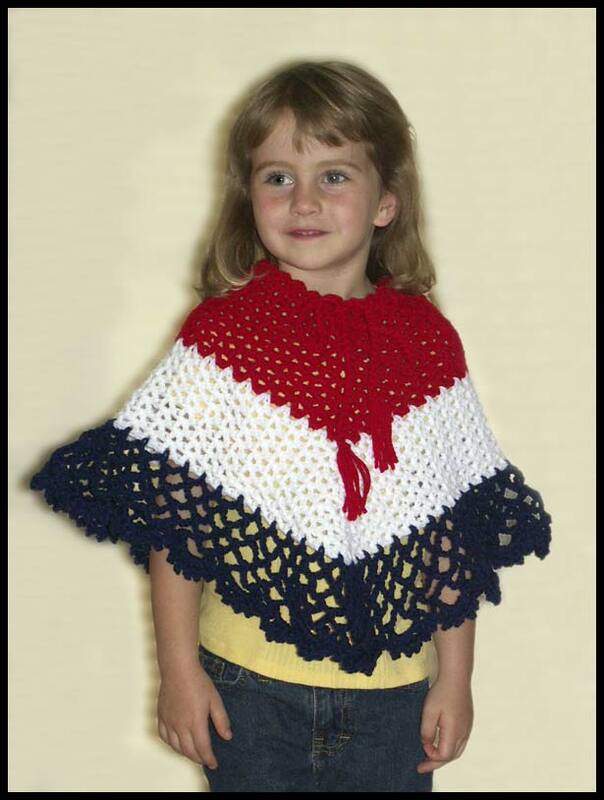 This poncho can be made in different sizes from 6-12 months to girl's size 13-14 (which is also ladies' small). Prices will vary according to size. Email me to order a different size. which is why it's sized at 4-5.